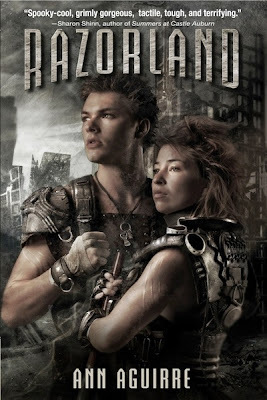 Ann Aguirre posted the revised cover and title for her post apocalyptic YA novel Enclave (formerly Razorland). It releases in April 2011. 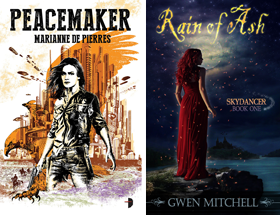 Ann wants to know which of the two covers/titles you prefer, so drop by her blog and leave a comment (by all means leave one here too). I like both covers but prefer the new title. 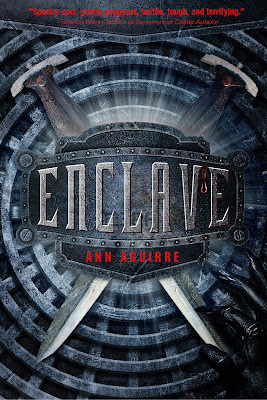 For the title, I like Enclave much much more! 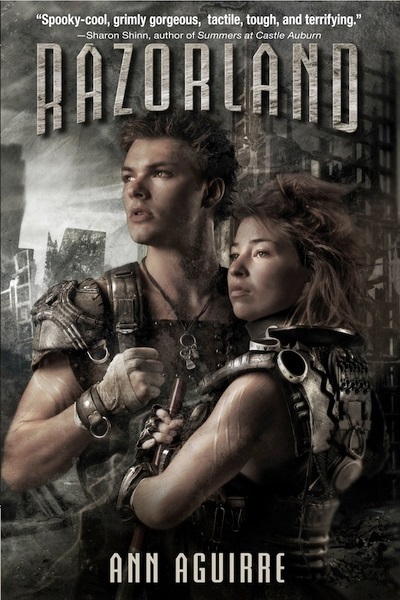 As for the cover, I'm a bit torn; I loved the first one, but it looks a bit "romancy" as my man put it, so I think the new one might appeal to more people... but, it stands out less from other covers. I personally prefer the old one, but both look great, anyway! I like the first title better - but only because it caught my eye. 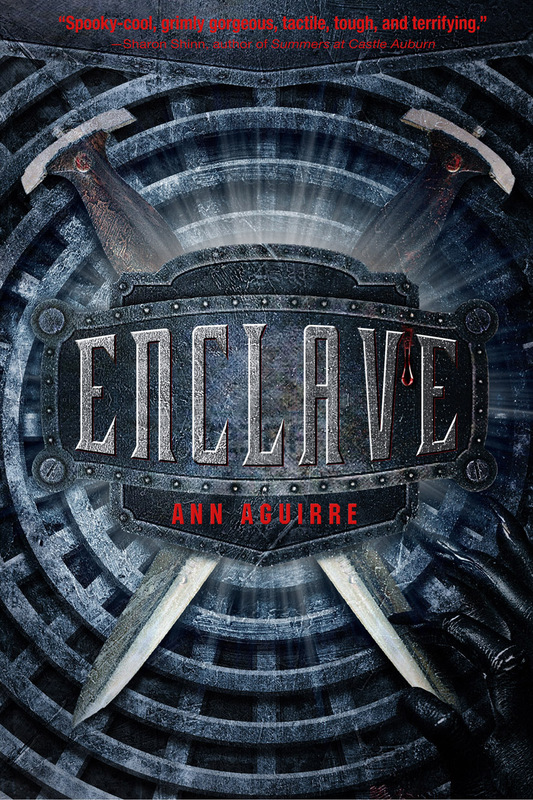 Enclave doesn't sound like a book I want to read. In fact, I would only pick it up if I knew I liked the author, which in this case I do. I like the newer cover as much as the original cover. I giggle a little at the notion of this new jacket art being clean and shiny, given that's a sewer cover and a maimed, bloody Freak claw on it. I like the new cover and title, but didn't mind the old ones either. In fact, I really liked them. Either way, just want to read the story. I just LOVED both the new title and the new cover. They're more... enticing!!! kay your guys reasoning is probably what prompted the change. Mardel another vote for the new title. Again because it is attention grabbing. Ann it is funny, I hadn't cottoned to the fact it was a sewer cover. LOL. Kmont they did a good job and both, it just shows how many possible interpretations there are of a story. All equally valid. Juliana it is pretty much a consensus. Everyone that commented liked the new title best. I really, really, really like the old cover better! And either of the names works for me.